Defence Turkey: Mr. Kerim Kalafatoğlu, first of all thank very much for your time. During the DIMDEX fair in Doha-Qatar in 2014, you signed a contract with the Qatar Ministry of Interior for the supply of a total of 17 Multi-Role Patrol Craft in 3 different configurations and lengths, and you accomplished the early delivery of 13 boats. In December 2017, the handover ceremony was held for the ARES 150 HERCULES (QC901) Offshore Patrol Vessel which is 48 meters in length and the ARES 110 HERCULES (QC812) Fast Patrol Boat which is 34 meters in length, with the participation of officials from the Qatar Coast Guard Command and the Ministry of Interior in Antalya. You have strong competitors; could you please evaluate the tender process in which you are involved? Also, please discuss the preliminary preparation and mass production processes that lead you to success in delivery? The tender process for this record-breaking program was certainly a challenge. It took some five years from the beginning to the point of the award with lots of engineering, marketing and product development efforts. ARES Shipyard won the tender and was awarded in year 2014 among a total of 18 international shipyards competing, some of them being the giants of the world at that time with their production volume. There was no big secret behind this success; we proposed the best technical solution with a completely cooperative proposal in terms of customization for the specific needs of the end users. And therefore, we had an almost one-year design consolidation and customization phase for the three types of fast patrol and offshore patrol vessels. At the end of the critical design review, we had fully customized, satisfactory and state-of-the-art products on the table, ready for production. It was time for developing the infrastructure, investing in the shipyard for even faster and higher quality deliveries. It was time to achieve something that had not been done by then: serial production of advanced composites military craft with fully automated vacuum infusion technology and use epoxy resin. This technology required a significant amount of investment in production however at the same time led us to deliver the best quality, in 1.5 years ahead of the contractual schedule with flawless planning, which is quite unusual in the shipbuilding business. Defence Turkey: ARES Shipyard – Turkey’s largest ship exporter - is Europe’s largest composite-hull boat manufacturer and the world’s biggest composite hull patrol craft manufacturer as well. ARES Shipyard is the only shipyard with the capacity to build military vessels with full vacuum infusion technology and epoxy resin utilization. What types of advantages have you gained as a result of your know-how in the production phase? In addition, what are the capabilities and advantages brought to the end users? Our extensive know-how in production led us to build the largest composite hulls in military craft production with the highest durability and with the longest life time which are the biggest concerns of the navies and coast guard institutions. Furthermore, the high quality of these products has granted us the freedom to offer record breaking warranty periods to our clients. Regularly proposed warranty periods in shipbuilding is limited to one year where we can provide 20 years of warranty for our advanced composite hull structures, and where we believe that ARES is the only shipyard in the world that can achieve this level of reliability. Defence Turkey: Mr. Kalafatoğlu, you have signed Turkey’s largest military ship export contract up until now for the procurement of 17 composite-hull Qatari Coast Guard Boats. What do you want to say about the added value and achievements this program has brought to our country? Considering the current global recession, this huge export program brought in a significant amount of foreign exchange to Turkey, adding considerable value to its reserves and creating employment. On the other hand, even though this program for the Qatar Ministry of Interior is the largest military ship export contract contributing to our export figures, ARES has always been an export focused company for the last ten years. So, our export figures not only stem from this record-breaking contract but also cumulatively coming from our diversified export programs to countries including but not limited to Qatar, Bahrain, Nigeria, Turkmenistan, Georgia and Tanzania. 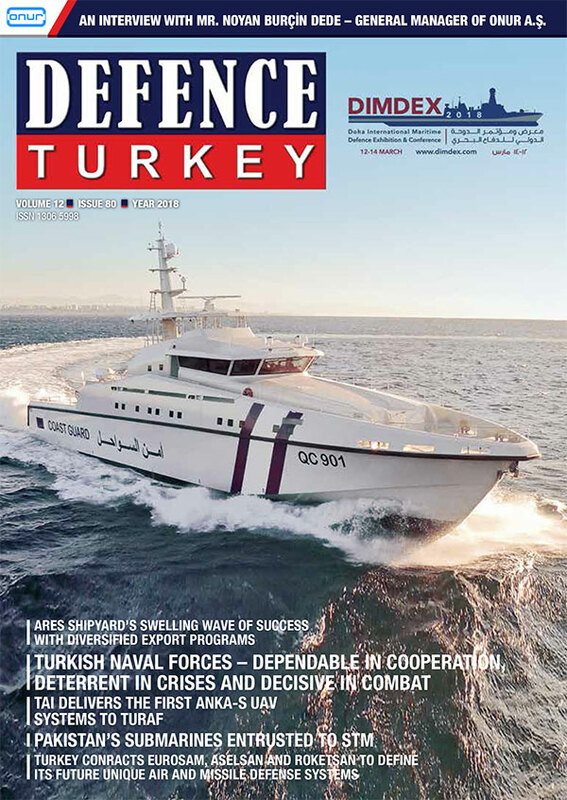 Defence Turkey: Mr. Kalafatoğlu, in the Qatari Coast Guard Boats supply program, you are 18 months ahead of the delivery schedule and this an unprecedented delivery achievement in the defense & maritime industry up to now. Here, we are talking about a significant supply chain and finance management modality. Your shipyard provides flexibility and speed through the supply management and logistics approach that you have established. Could you briefly tell us about your investments and studies in this regard? Today, we are 1.5 years ahead of the contractual schedule with a flawless planning, logistics and financial management in addition to our investments in serial production which is quite unusual in shipbuilding business. Especially in supply chain and financial management fields, we have also made significant investments in terms of assets and manpower. To be more specific, we have changed our management methodology dramatically with the use of a new ERP software, supply chain and finance being the first to be integrated in this ERP system. Moreover, we have invested in people creating significant value in these fields. And above all, we have made all these systematic development efforts and manpower work together in harmony. Defence Turkey: Mr. Kalafatoğlu, the ARES 150 HERCULES Offshore Patrol Vessels bring significant advantages to the user in the operational environment, thanks to the speed over 20% of the contract requirements, superior maneuvering capability in a 74 meter-radius, and an enhanced range. When you compare the ships in this class with your own platform, how do you see your platform in terms of both cost-effectiveness and superiority? The 48m ARES 150 HERCULES OPV is the flag ship of this program and the Qatari Coast Guard. So, we have from the beginning planned and wished to add even more value to this craft, to distinguish it from other offshore patrol vessels currently in service across the globe. Therefore, first of all we offered to the client, an upgrade of the main propulsion system (main engines and water jets) to a more improved solution on our account. With this revision, we added a 20% increase in speed, higher maneuverability and then doubled the range (from 800Nm to 1600Nm) giving the coast guard even more enhanced patrolling capabilities covering all of the Arabic Gulf region with its high speed and extensive range. What we have achieved with the ARES 150 HERCULES is unprecedented; it is the fastest offshore patrol vessel and largest composite construction for military use in the world. Finally, with the addition of stabilization systems for higher sea states up to and including Sea State-6, two interceptor boats onboard for special forces missions, new generation electro optic systems and Aselsan’s 30mm SMASH (MUHAFIZ) and two 12.7mm STAMP Naval Weapon Systems; the ARES 150 HERCULES is a unique, superior, state-of-the-art craft. Defence Turkey: According to the contract signed with the Qatar Ministry of Interior, when the boats are delivered, the operator and maintenance training will be provided to the Qatar Coast Guard Command staff by the ARES ILS Department. Could you please share with us the latest status of the studies performed in this context? As a company that attracts attention with the impact and difference it makes in the industry, one distinguishing feature of ARES is its Integrated Logistics Support (ILS) department. The ILS department, whose effectiveness and know-how has been certified, is currently providing training to 275 Qatari Coast Guard personnel for almost three years. Thanks to our ILS team, ARES stands out as the sole shipyard in Turkey to meet all the logistics-related demands and requests of customers. Certified by Turkish Lloyd with the ISO 9001 Quality Certificate, our ILS department has experienced personnel and know-how to meet every kind of customer requirement at the shipyard or onsite, at any requested location in the world. Currently, the extensive training program for the Qatar Coast Guard is on-going with accomplishment of 12 boat crews (approximately 170 officers, petty officers and technicians) all in-class, onboard and tactical/mission training. Defence Turkey: During the recent period, ARES Shipyard has exported military and para-military ships to countries like Bahrain, Nigeria, Georgia, Tanzania and Turkmenistan. However, especially with the superior success you have achieved in the Qatar Coast Guard Boat procurement project, the requirements you receive in the international market will certainly increase. In this context, could you please inform us about the projects you follow abroad, co-operation activities and the requests you receive? There are numerous international shipbuilding / acquisition programs to which we have been invited which we are either actively following, preparing for, or are waiting for the outcome of after having already submitted our proposal. As you may realize, most of them have military level confidentiality; there is also commercial confidentiality involved in some others. For these reasons, we think it would not be appropriate, as a matter of principle, to mention any country or project name before the relevant tenders are concluded. My wish and hope is that we will continue to win new tenders and get orders in 2018, and meet the needs of our allied countries with the highest value platforms of their class, contributing to export incomes of the Turkish Republic as our usual practice. Defence Turkey: Mr. Kalafatoğlu, unlike many other producers, you do not offer commercial off-the-shelf products to the market. What advantages does this approach bring to you in the market? Of course, almost all shipyards in the industry claim that they make the fastest delivery and carry out production at the most reasonable cost, with the highest quality and advanced technology standards in materials and workmanship. This is indeed a common goal for all companies in the industry. Managing these factors appropriately is essential for the survival of enterprises. 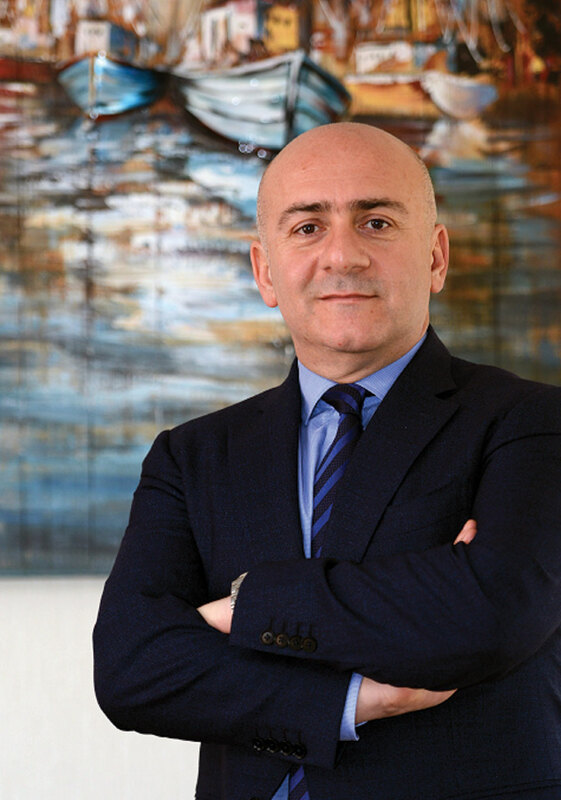 In addition to all these factors, and more importantly, I believe that we, as ARES Shipyard, have contributed a different perspective to the ship building industry. Our vision is not limited to building the best ships; our aim is to develop our customers’ own vision by working together with them. That is to say, we listen to the needs of our customers, and value their requests. We never offer them a ready platform and try to persuade them to buy it. We evaluate their operational needs by sitting face-to-face and determining the optimum solutions and most appropriate technical features for them. In other words, we offer them a consultancy service, gladly and free of charge, unlike in many other countries where such services are provided to government institutions for considerable sums during the preparation of tender dossiers. At this point, there are, of course, cases where it is our customers that guide us. In this way, we can provide a win-win solution. As the saying goes, rather than an off-the-peg jacket, we tailor one for our customer that is made-to-measure, so it fits perfectly. We call this approach tailor-made solutions. As a result, we don’t offer any off-the-shelf products to our customers. Instead, and I say this with pride, we have a number of solutions we can offer them. Of course, producing tailor-made solutions for customers requires a labor intensive chain of design activities. But with our young and dynamic design team, we are aiming to pursue this strategy, and to continue serving our customers with the most appropriate solutions by working together with them. 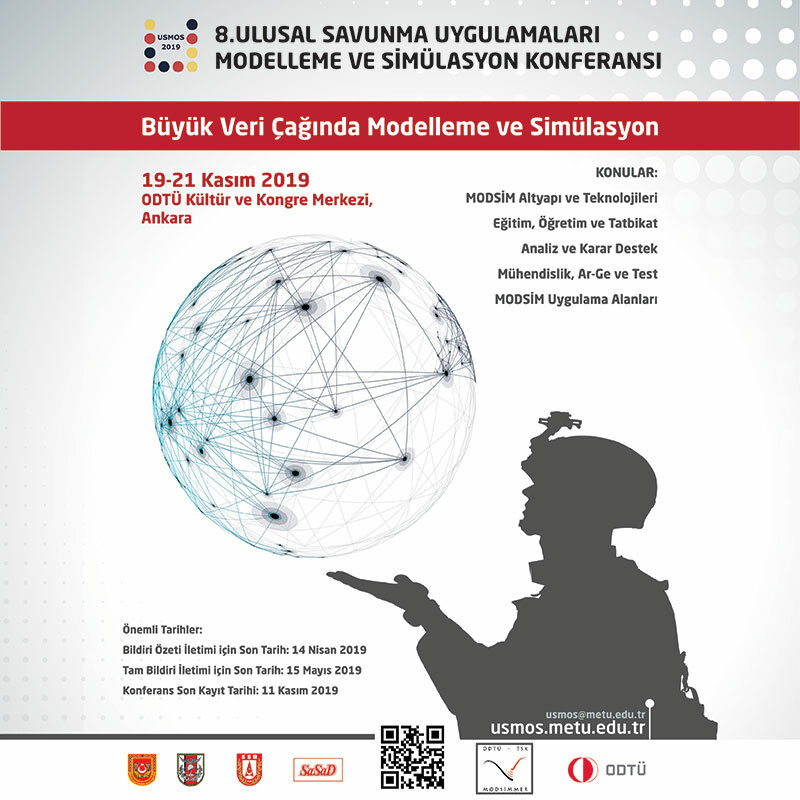 Defence Turkey: Do you have solutions and designs that are scaled according to the future requirements of our country, the Coast Guard Command being in the first place, in view of the gains this project brings to you? Could you please inform us about the tender you are expecting to be issued or the tender you have submitted for your proposal? The needs of the Turkish Naval Forces and Coast Guard Command are always a priority for us. Beyond meeting financial targets, and in addition to bringing foreign exchange to Turkey, our biggest goal is to continue and increase our services for the Navy and Coast Guard institutions of our homeland. We are always ready to support all programs of the Turkish Ministry of Defense and Ministry of Interior, as far as our capacity allows us to do. Thus, for instance I’d like to announce here that we will proudly be participating in the tender for the needs of Ministry of Interior, Coast Guard for fast response and control boats recently issued by the Undersecretariat for Defense Industries. I’d like to assure you that we will do our utmost to present the highest performance and efficiency product in a very competitive delivery schedule, being aware of the urgency of the need especially for the fight against illegal immigration and human trafficking in our territorial waters. Defence Turkey: Mr. Kalafatoğlu, you had a teaming agreement with Rolls-Royce for the Turkish-type assault boat project. Within this scope, you have designed your ship on the Rolls-Royce’s patented, tried and proven P2500 body form. Could you please inform us on the latest developments regarding this platform solution, the partnership and process? I would like to take this opportunity to underline the fact that we are one of the strongest candidates for the Turkish Type Fast Attack Craft Program in context of the modernization of the Turkish Naval Forces FAC Fleet. We had a teaming agreement with Rolls Royce in order to use their unique very well proven P2500 hull form that allows both high performance and speed capability above 55 knots with a steel hull but at the same time achieving very reliable seakeeping parameters at Sea State 6. I can proudly state that we are fully ready for the program even in terms of detailed ship configuration and design. We are fully compliant with the principles previously published in the RFI, and in expectation of the RFP to be issued by Undersecretariat for Defense Industries in order for us to take place in this important program. Defence Turkey: You were ranked as Turkey’s number one fastest growing company with a growth rate of over 4000% according to the industry’s independent assessments made by the Turkey Union of Chambers and Commodity Exchanges in January 2017. It gives you both great pride as well as great responsibility. In this regard, what are the strategies that you have adopted in order for this growth to be sustainable? ARES has achieved tremendous success by growing at astronomic rates in the last decade. We are certainly delighted and proud of this; but at the same time, we are equally cautious and careful. We are aware that while such rapid growth rate can be a source of both pride and self-confidence, it also carries certain risks. By managing them effectively, I believe that we have the experience and vision to turn these risks into advantages. As such, rather than comforting us, this growth rate has disciplined us; I can say that it has even inspired and encouraged us to further strengthen our institutional structure. Our biggest goal for the coming period is of course to ensure the continuity of the growth in our sales revenues. Meanwhile, we should also ensure more stable growth rates and strive to eliminate the positive and negative peaks. We have set a modest and feasible target for our annual turnover, 90% of which comes from exports. Our goal is to increase it by at least 300% within next five years, with stable and consistent growth rates. As such, by the end of 2017, we have already accomplished an export value of over $125 million. Defence Turkey: Mr. Kalafatoğlu, you have an investment plan in 2018 that can increase the indoor production capacity of your shipyard and perform the production of larger and tonnage military vessels. What do you want to say about this modern facility that will be built? Our current production facilities in Antalya Free Zone currently comprise three air-conditioned factories with a combined floor area of 25,000 square meters. As well as construction facilities for aluminum, steel and advanced composite hulls and superstructures, we have paint ovens; workshops for metal, carpentry and composite works, and harbor launch capability. We have also modern offices, and training classrooms for the support of customers in addition to the private offices dedicated to our customer representatives. We have recently invested in a new facility next to our composite factory which will increase our enclosed production area to 40,000 square meters in less than one year. This brand new top-notch facility will be specialized in aluminum and steel production infrastructure and will add significant value to our country with the investment of robotized cutting-edge serial production capability. Defence Turkey: Would you like to convey any messages for the readers of Defence Turkey?